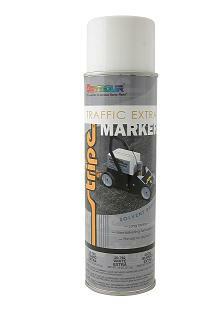 Traffic Marker Extra White | Alpine Products, Inc.
Freshly paved surfaces must dry adequately before striping, however, a second application may be necessary. For use over stencils or for marking curbs, it can be actuated by hand or by using the Traffic Marking Wand (#Z-608). Seymour’s Parking Lot Stencil Kit (#Z-500) is recommended.